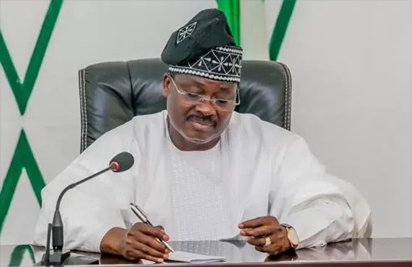 IN its efforts to make healthcare affordable, the Oyo State Health Insurance Agency, OYSHIA, yesterday, disclosed that it is targeting to capture 450,000 residents of the state in its health insurance scheme. This was disclosed by the Executive Secretary of the agency, Dr. Olusola Akande, during the opening of a two-day media dialogue on the theme: Improving Access and Uptake of Healthcare for Children and Women through Social Insurance Scheme in Oyo State, organised by the state Ministry of Information in collaboration with OYSHIA and the United Nations Children’s Fund, UNICEF, in Ibadan. While stressing the essence of the health insurance, Dr. Akande pointed out that the scheme was setting money aside to improve on the heath care delivery in the state, while one is medically okay, adding that it became imperative for people to visit doctors as occasion demands with the aim of determining one’s health status. Describing health insurance as protection against financial hazards, spreading of risks and pooling of risk to ensure that people remain healthy with little financial resources, the executive secretary maintained that healthcare was not curative alone, but also preventive, adding that health insurance changes the health-seeking habit of an individual. Also speaking at the event, the Health Specialist of United Nation International Children’s Emergency Fund, UNICEF, Akure Field Office, Dr. (Mrs.) Adebola lamented that the state has only 22 medical doctors engaged by the state government. She noted that the state has 248 nurses/midwives, 166 community health workers, 922 community health extension workers and 747 health assistants, stressing that no child should be left in increasing access to healthcare.